Sign us up for a good tropical destination wedding, especially at this time of the year! This Bali destination wedding is just not beyond gorgeous, it’s a true testament for marrying two cultures so beautifully. Being a globetrotter, Marc + Arielle have seen and been to different places but for them, Bali is exceptional. Can we blame them? Aside from its picturesque scenery, the Balinese vibrant culture is not to miss. And for this multicultural couple, Villa The Sanctuary Baliis the perfect place to say “I do”. 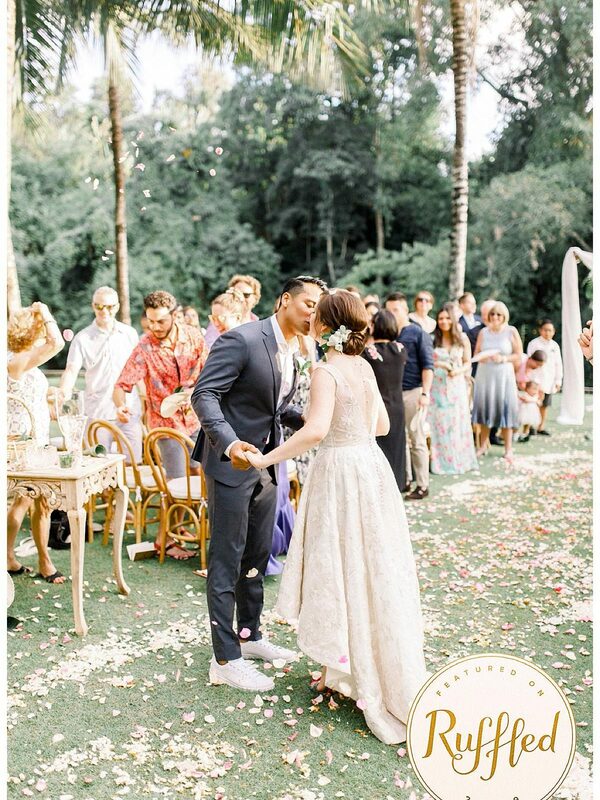 Planned by Hari Indahand florals designed by Bloomz Bali Weddings, check out this glorious tropical destination fete captured by The Fashion Wedding.